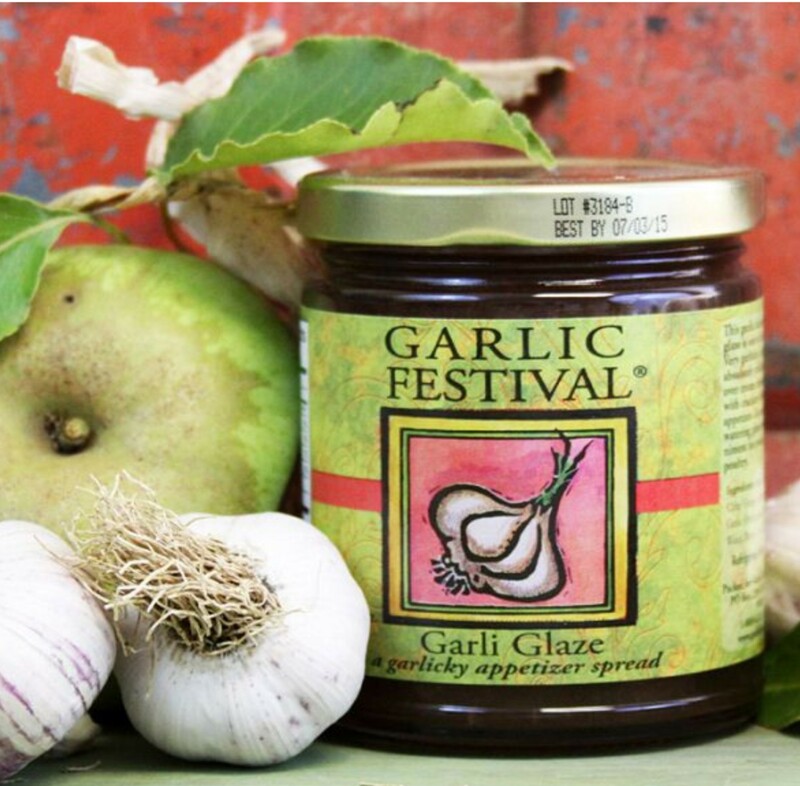 This garlicky laden apple glaze is out of this world. Very garlicky, slightly spicy, absolutely delicious! Spoon over cream cheese and serve with crackers for a delicious appetizer, as a mouth-watering glaze or as an accompaniment for pork, lamb or poultry. Used this on some chicken and it was very tasty. This glaze is amazing. Try this on a pork loin. We love this stuff and recommend this to everybody. We always get more than one jar because it doesn't last long at our house. I had a dinner party and put this on a ham. It came out fantastic! I would certainly purchase this product again. Excellent Product!! The uses are unlimited. Love it on Crock Pot Chicken. Throw chicken in crock pot, pour glaze over and cook. Delicious!! I use this as a glaze also...but I also use it when I make devilled eggs, tuna salad, chicken salad, egg salad, potato salad, macaroni salad - anything that I want to kick up a notch. This and the Jalapeno Mustard are my secret ingredients and I always get great reviews. Definitely should try in the devilled eggs and salads - it's become a dedicated ingredient for me. I love this glaze!!!! It has a wonderful taste, it is versatile; I use it for different meats - pork, elk, chicken - or salads, or simple on toast - yummy! Yummy. We eat on crackers with cream cheese. Delicious. Bought my first jar at the Festival in Charlotte,NC and I love it. It is delicious. My favorite way to eat is on ritz cracker with cream cheese. So sad it's out of stock and for somereason it won't take my notify me info.